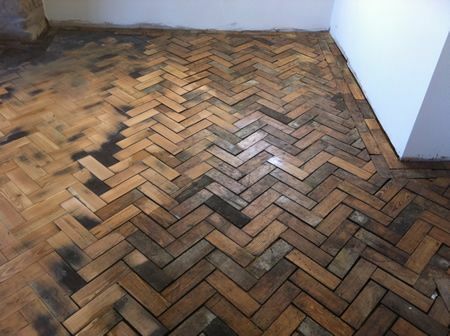 We now have some of our Floor Sanding Videos on our new You Tube Channel take a look and let us know what you think. 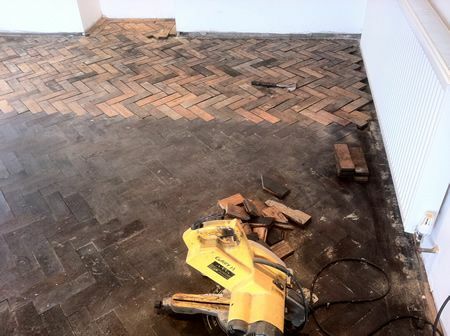 Many More Videos will be added in the near future. 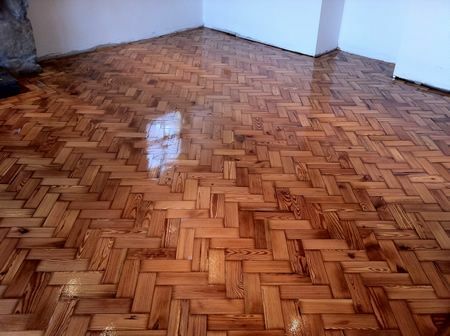 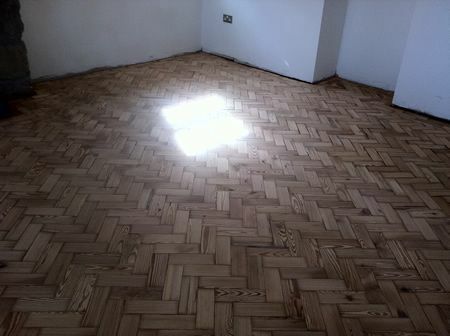 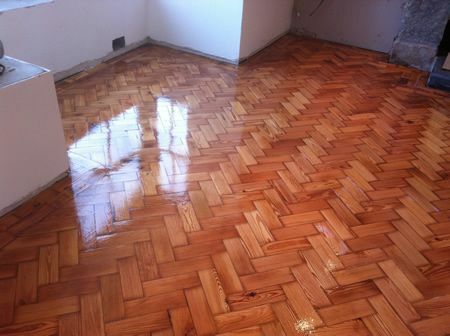 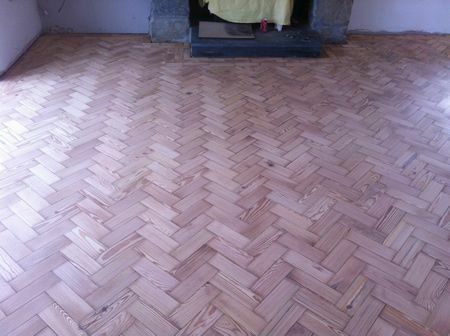 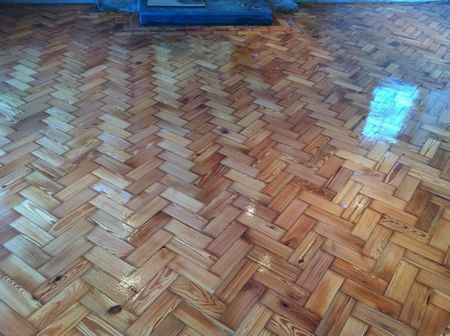 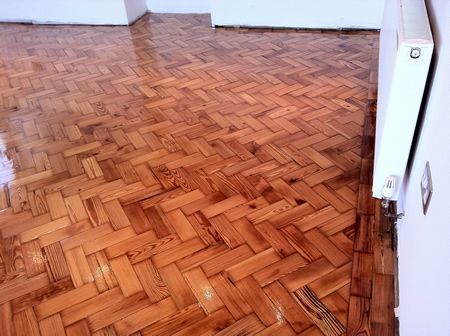 The client was Renovating the rooms, and one of the Main living rooms needed an area re-instating with matching Pitch Pine Parquet Wood Blocks, which were acquired and supplied by the Client. 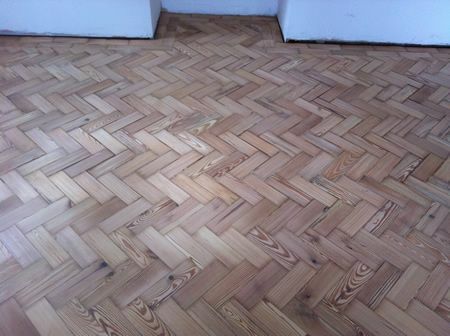 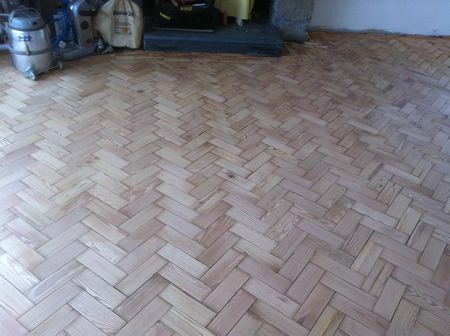 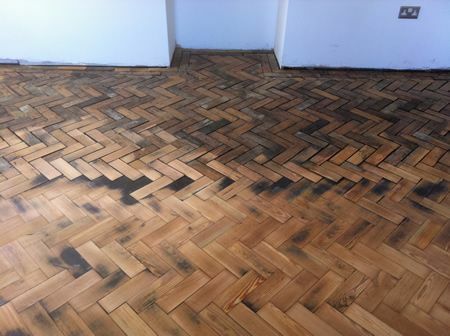 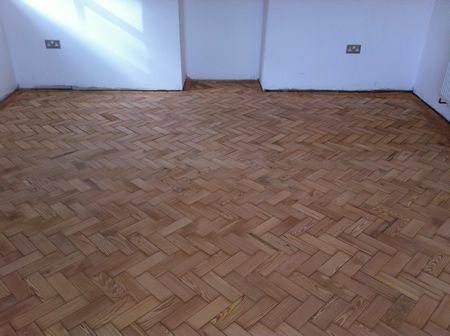 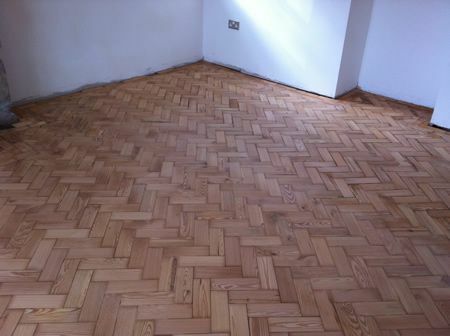 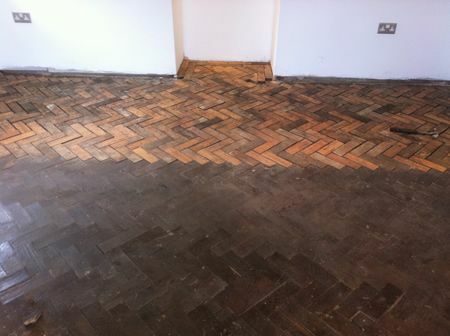 We had to re-instate approx 7m2 of Pitch Pine Parquet Blocks to a voided area of the Lounge [The area had once been a Pantry] unfortunately the Blocks acquired by the Client were slightly narrower than the existing Blocks causing large gaps between the newly laid Parquet. 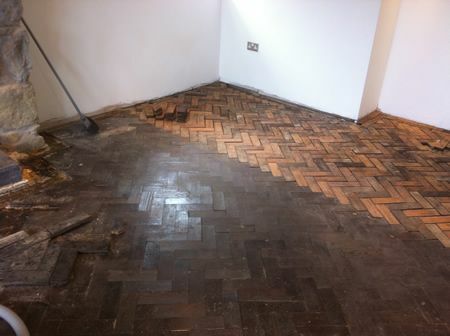 This was overcome with [a lot of] mass gap filling to the re-instated area. 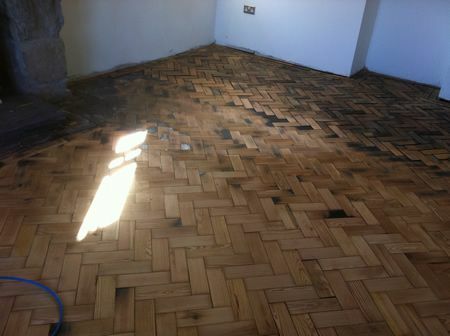 There were lots of loose blocks to the main body of the floor which we of course re-fixed back into position, making the whole area sound and ready for decades of family use.